A beautiful, exclusively designed, watercolour cocktail features in the middle of this A4 print. Along the bottom is the recipe and method to make it. Using stylish contemporary typography, giving the print a sophisticated look. This print would work wonderfully as a set of 3, in a kitchen or bar area. 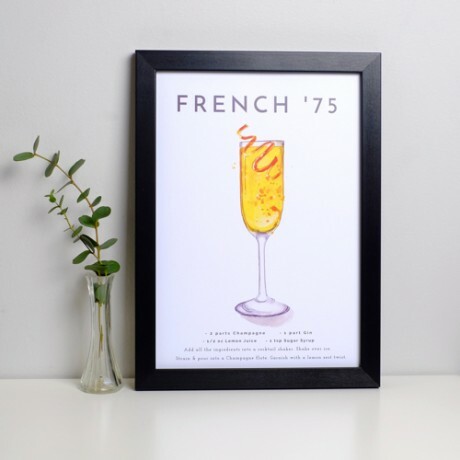 A great gift for any keen champagne cocktail drinkers.